Diamond balls, diamond roundels, 18ct solid yellow gold & 18ct solid white gold roundels on an 18ct yellow gold box chain with a diamond clasp. 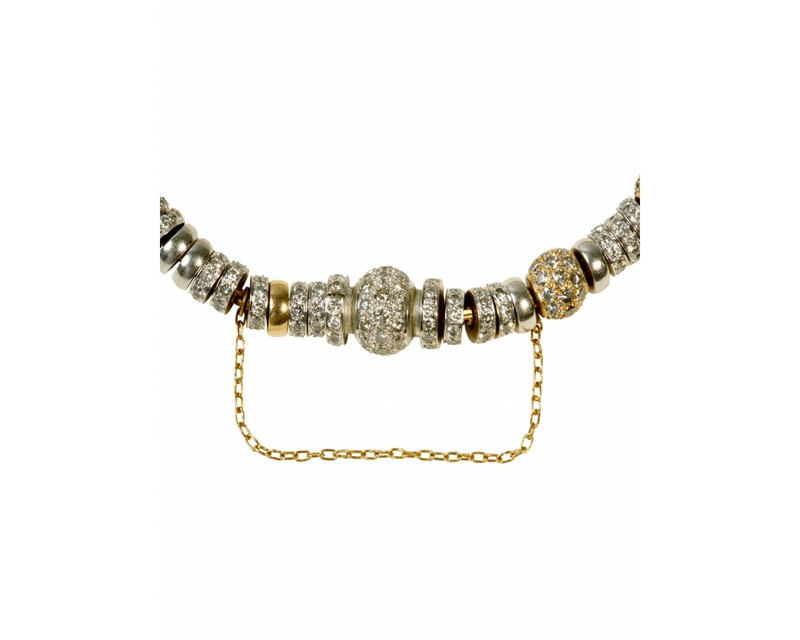 This extraordinarily glamorous shimmering roundel & diamond ball bracelet is unique and known as one of our classic pieces. 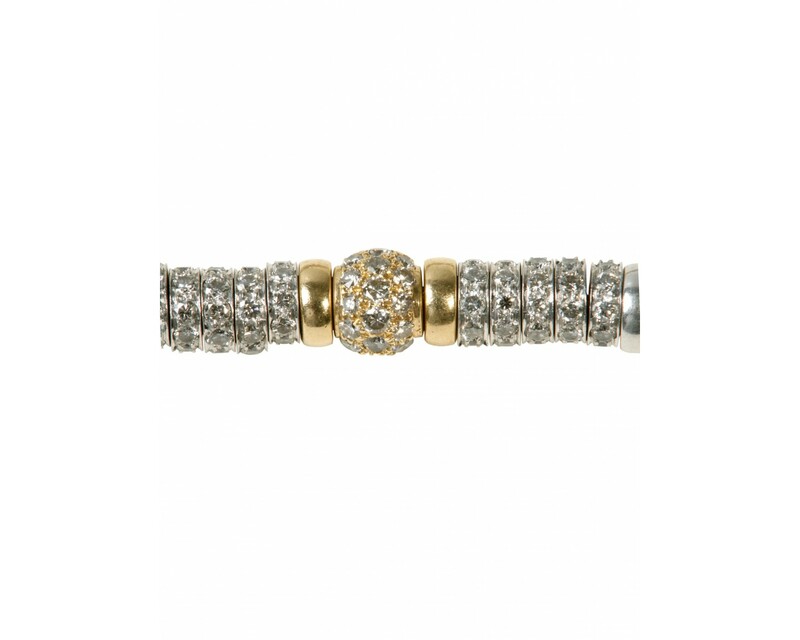 The diamond balls are pave set in 18ct yellow gold. The diamond roundels are pave set in 18ct white gold. They are accompanied by some solid gold roundels in 18ct white and 18ct yellow gold. The diamond clasp is pave set in 18ct white gold.